You may be asking yourself; "What can pressure washing do for me and my business?" 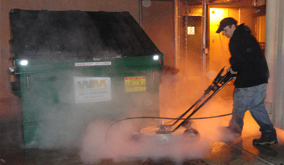 Pressure washing is much more than just spraying water, with the combination of high and low pressure, producing temperatures up to 250 degree, effective chemical application, and trained pressure washing professionals we are able to safely remove gum, graffiti, oil, rust, and other miscellaneous spills and stains. If it can get wet, we can pressure wash it. Living in the Prescott, AZ – Valley we experience a lot of dirt, we pressure wash buildings, walkways, dumpster pad, parking structures, shopping carts, play area, picnic areas and much, much more. 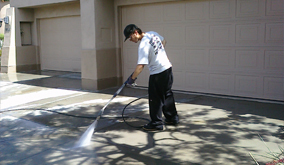 We are Prescott's premier pressure washing company and we want to help keep your property clean. 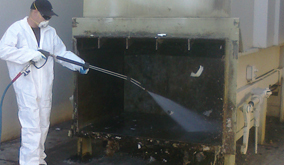 Call us today for a free pressure washing quote on anything you need clean. 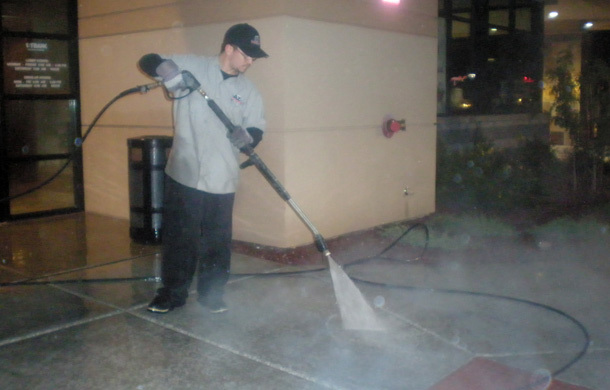 "Just Call The Pros"
Call AZ Power Wash Pros for commercial pressure washing services in Prescott, Arizona.